All skin types can benefit from this mild, oil-free, soap-free, creamy cleanser enriched with exfoliating alpha-hydroxy acid. Removes make-up, dirt and oil without drying skin's surface. Leaves skin soft, refreshed and radiant. 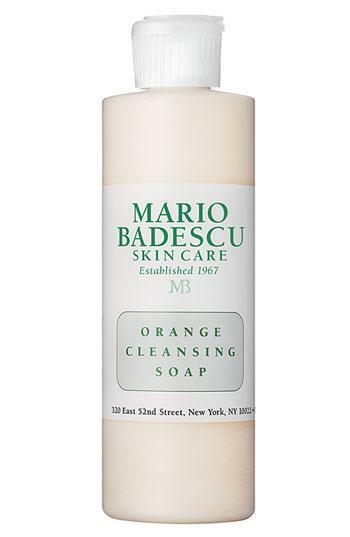 Style Name: Mario Badescu Orange Cleansing Soap. Style Number: 292248. Available in stores. Mario Badescu Seaweed Cleansing Lotion, 8-oz.